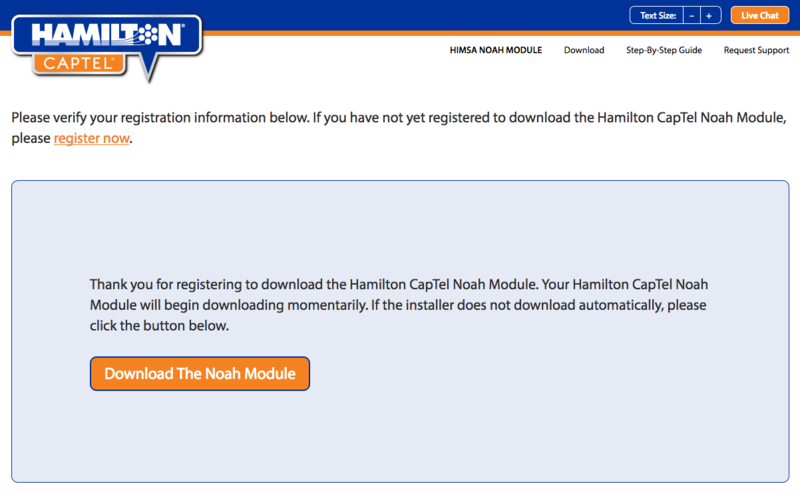 Getting up and running with the Hamilton CapTel Noah Module couldn’t be easier. 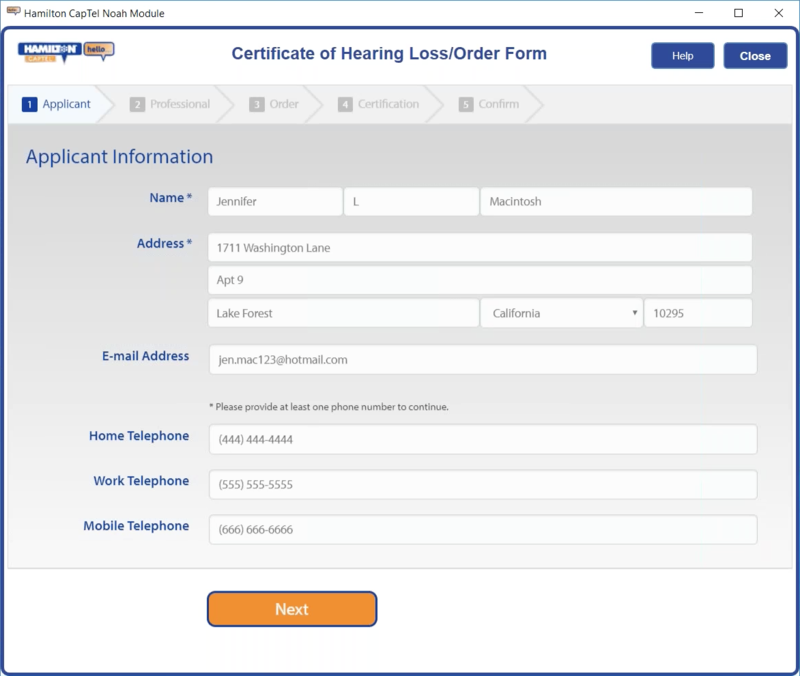 Just follow the simple steps below to download and install the Hamilton CapTel Noah Module and submit a Certificate of Hearing Loss/Order Form on behalf of your patient. Complete the Noah registration form. Open registration confirmation e-mail and click the download link. 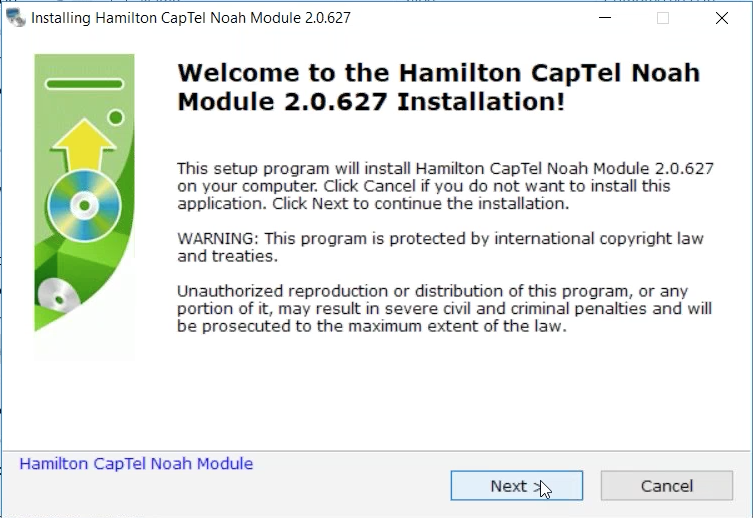 Click to download the Hamilton CapTel Noah module installer to your computer. Install the downloaded module on your computer. 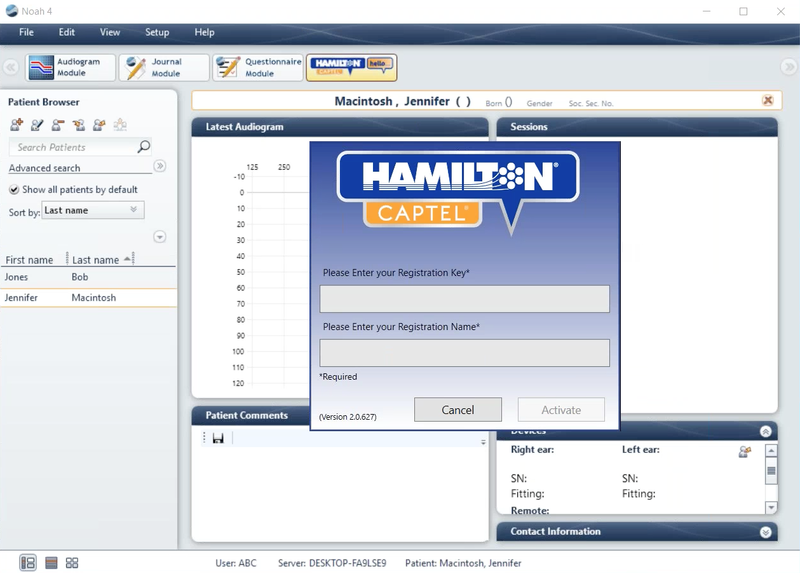 Open Noah and run the Hamilton CapTel module. 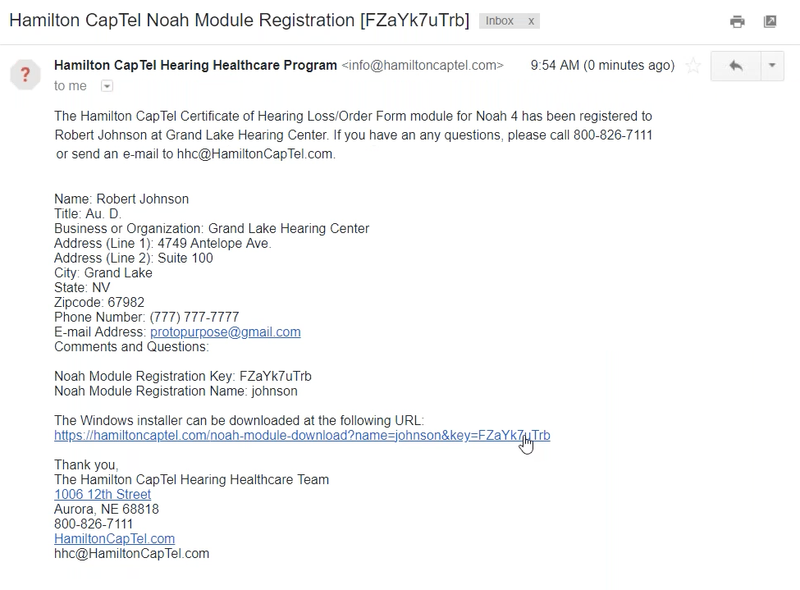 Activate the Hamilton CapTel Noah module using the registration information provided in the confirmation e-mail. Review the applicant information and click “Next”. 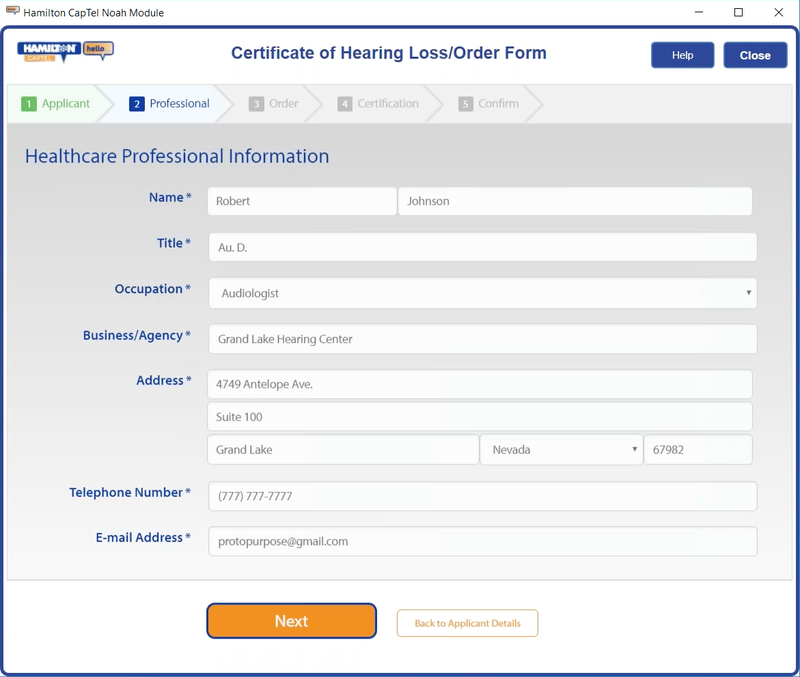 Review the healthcare professional information and click “Next”. Complete the order information and click “Next”. Complete the certification information and click “Next”. 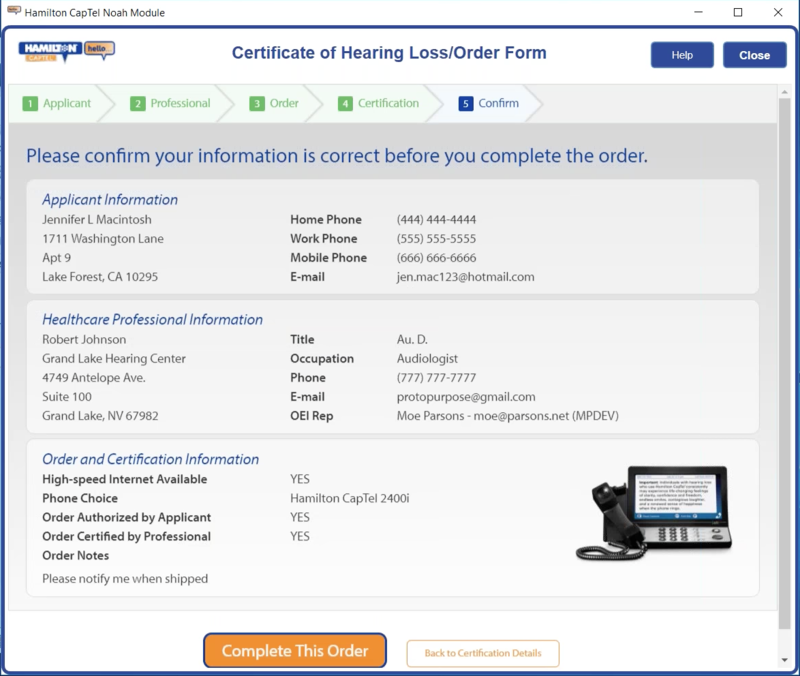 Review the order details and click “Complete This Order” to submit the order. 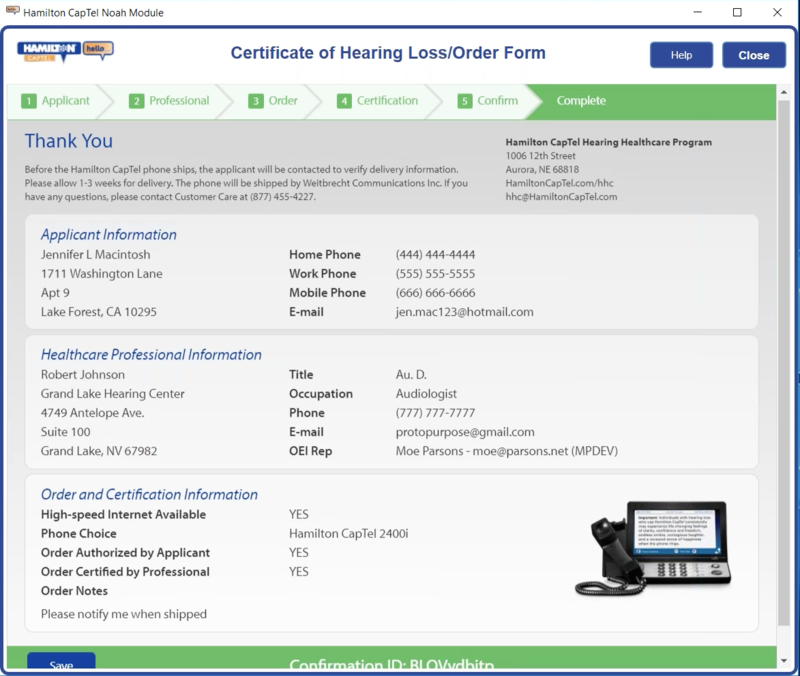 The Certificate of Hearing Loss/Order Form is complete. 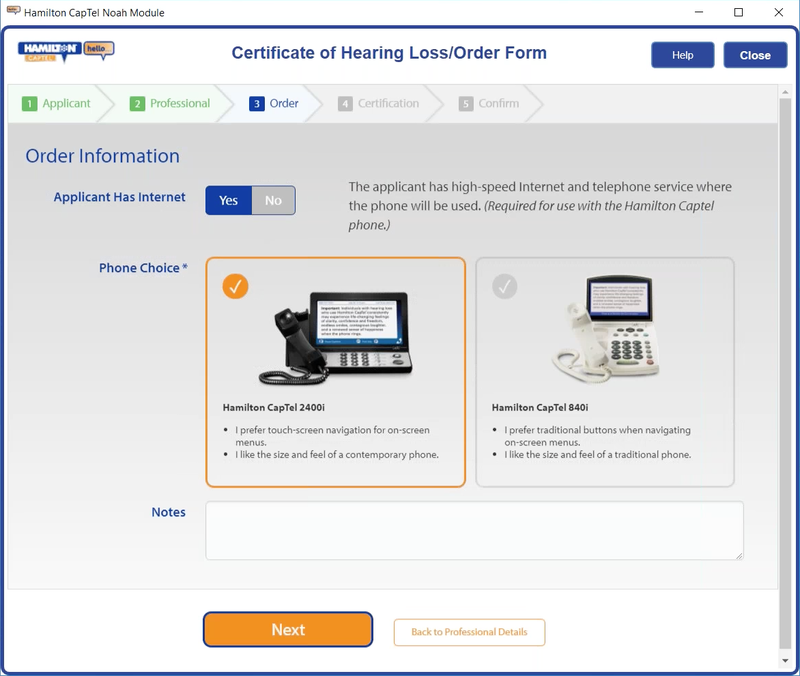 You will receive a confirmation ID and e-mail notification, which includes the ability to download the completed certification form for your records. Click the “Close” button to exit the module. 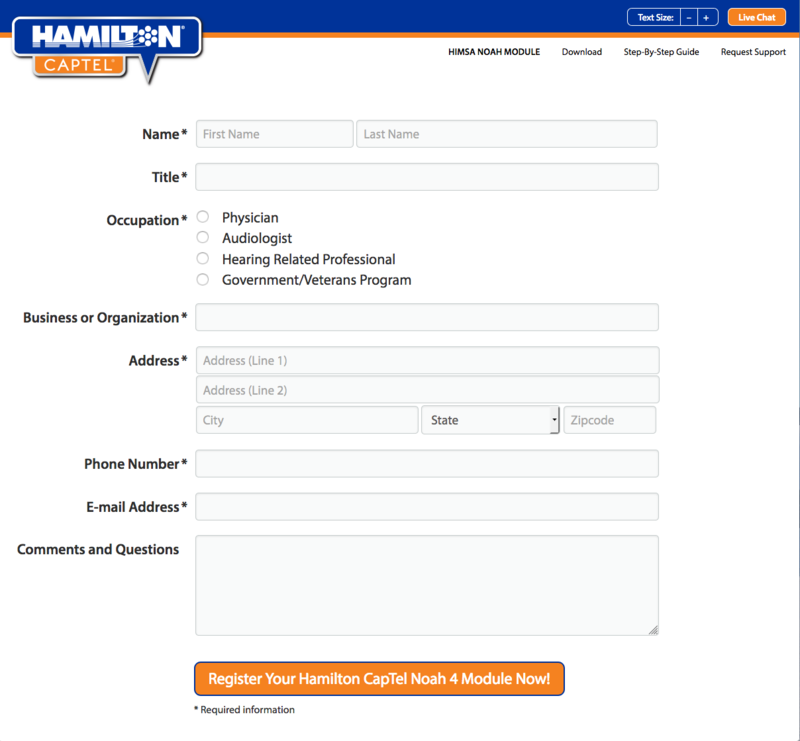 Need assistance with the Hamilton CapTel Noah Module? 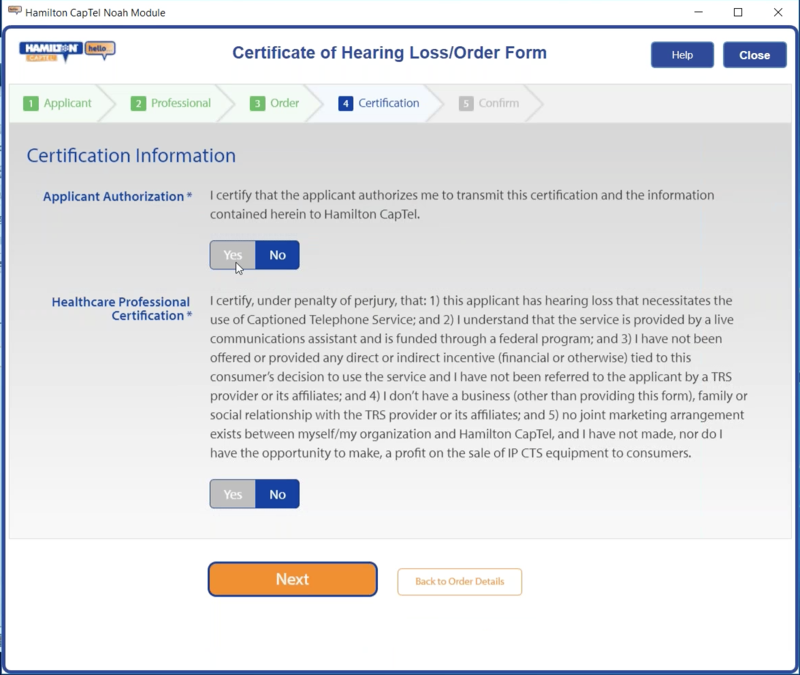 If you have questions about the Hamilton CapTel Noah Module or are having difficulties downloading, installing, or submitting the Certificate of Hearing Loss/Order Form, please visit the Request Support page for additional information. 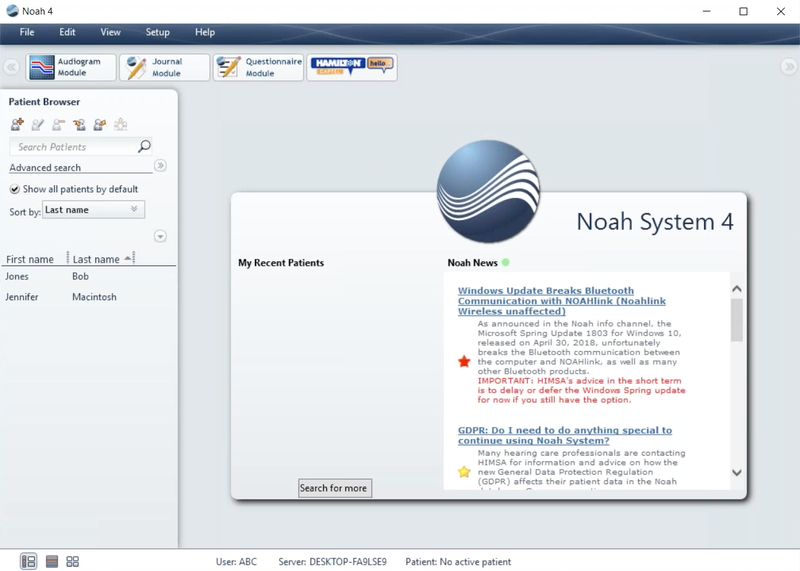 Here, you can also complete and submit the Noah support form.